KURYAKYN K1049 SILHOUETTE LEVERS As tasteful as an Oscar, this beautifully sculpted set of levers adds a really unique accent to any bike. They are also very comfortable on the hands. 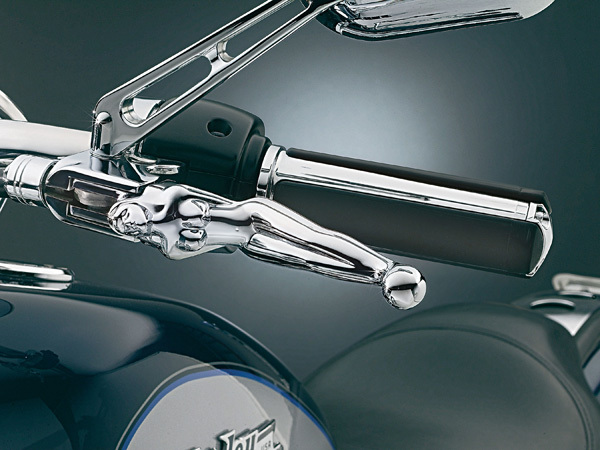 Note: When installed on an '08 & Up Softail or Dyna, the brake lever will be positioned approximately 3/8" farther from the bar than the stock lever.